Statins are commonly prescribed medications that potently reduce cholesterol levels and the risk of cardiovascular events. Preclinical studies suggested statins also possess cancer chemopreventive properties. However, the clinical studies provided contradictory results as to whether statins influence the risk of pancreatic cancer. 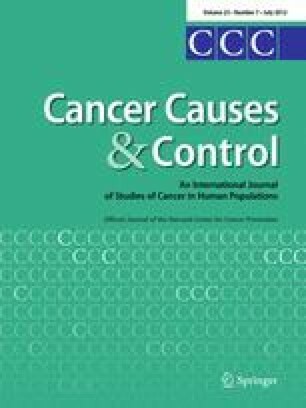 Herein, we present this meta-analysis to assess the association between statin use and risk of pancreatic cancer. We conducted a comprehensive search up to August 2011 for the eligible studies. Pooled relative risk (RR) estimates and corresponding 95 % confidence intervals (CIs) were calculated using the inverse-variance-weighted random-effects model. Subgroup analyses were conducted where data were available. Heterogeneity was assessed by the Cochran’s Q test and the I 2 statistic. We included 16 studies that involving 1,692,863 participants and 7,807 pancreatic cancer cases. Pooled results only indicated a non-significant decrease of pancreatic cancer risk among all statin users (RR 0.89; 95 % CIs, 0.74–1.07). Similar results were obtained in the subgroup analyses of the long-term (more than 4 years) follow-up (RR 0.94, 0.81–1.08) and statin use (RR 0.97, 0.76–1.23), and a null association was found between lipophilic statin use and pancreatic cancer risk (RR 1.03, 0.92–1.16). No evidence of publication bias was observed in the present meta-analysis. However, significant heterogeneity was detected among all studies (p < 0.00001, I 2 = 81 %). In conclusion, our results suggest that there is no association between statin use and pancreatic cancer risk, when statins are taken at daily doses for cardiovascular event prevention. Xiaobing Cui, Yue Xie and Min Chen contributed equally to this work. We would like to thank Gui Lv (Senior Lecturer in School of Foreign Studies, Southern Medical University) for her constructive comments and careful revision of this manuscript. There are no potential conflicts of interest among all authors.